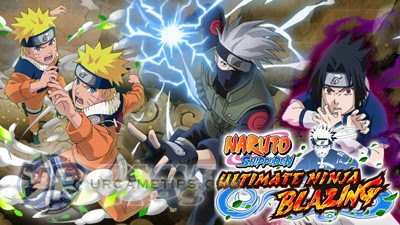 Here's a list of 6* Star Ninjas that are ranked under Rank A, currently available in the Android and iOS mobile game: NARUTO SHIPPUDEN: Ultimate Ninja Blazing. Basic Info Range: Short; Special Purchase; Limit Break Capable! Field Skill Reduce an enemy's chance to counter with a substitution by 20%-25%. Field Skill Reduces an enemy's chance to counter by 15%-30%. Field Skill 15%-20% chance of dodging an attack. Field Skill Reduces Body-elemental damage by 10%-15%. HP STR Buddy Skill 10% chance of dodging an attack. Basic Info Range: Short; Blitz/Impact-Raid Character; Limit Break Capable! Field Skill Reduces the chance of receiving slip damage by 25%-30% (Not Field Skills). HP STR Buddy Skill Reduces the chance of receiving slip damage by 25% (Not Field Skills). 1470 1489 Ninjutsu 1.8x attack toward all enemies in range. Field Skill Reduces Heart-elemental damage by 15%~20%. HP STR Buddy Skill Reduces Heart-elemental damage by 15%. Field Skill Boosts Bravery-elemental Attack by 150-300. HP STR Buddy Skill Reduces damage by 6%. Field Skill Reduces the chance of receiving immobilization by 15%-20% (Not Field Skills). Field Skill Reduces the chance of receiving slip damage by 20%-25% (Not Field Skills). Field Skill Reduces an enemy's chance to counter by 11%-22%. HP STR Buddy Skill Reduces Bravery-elemental damage by 30%. 1235 1151 Ninjutsu 2.2x attack toward all enemies in range. HP STR Buddy Skill Boosts Wisdom-elemental Attack by 150.